Kit de 4 couvercles fraicheur extensibles en silicone pour conserver facilement tous vos aliments! The cool new Copco Bag Caps are innovative lids for bagged foods that seal in freshness without having to remove an item from its original packaging. 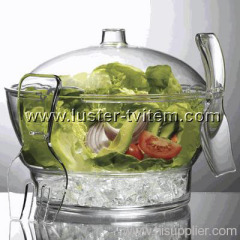 Salads, Fruit, seafood, Appetizers stay chilled and tasty over a bed of ice. Comes with a divider with built in dip / condiment cup. Keep condiments, fruits and veggies, wet bar garnishes and more fresh and handy with the Condiment-on-Ice Serving Tray. 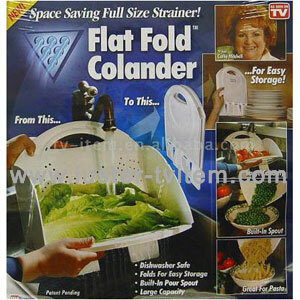 Flat fold colander is the practical solution for every kitchen. It's a full sized strainer that magically folds flat to store anywhere. 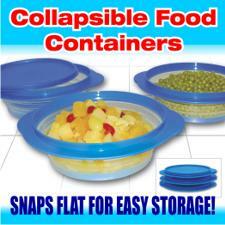 Your First Choice For Versatile, Space Saving, Food Storage Containers. 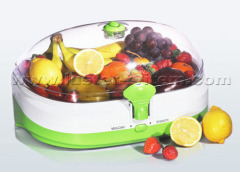 The most intelligent food storage system ever made AND the very latest in smart kitchen appliances. WOW Containers configure to fit all of your food storage needs. 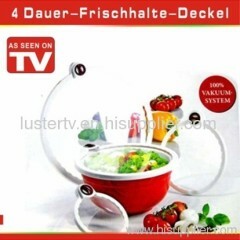 Group of Food Storages has been presented above, want more	Food Storages and preservation box, Please Contact Us.